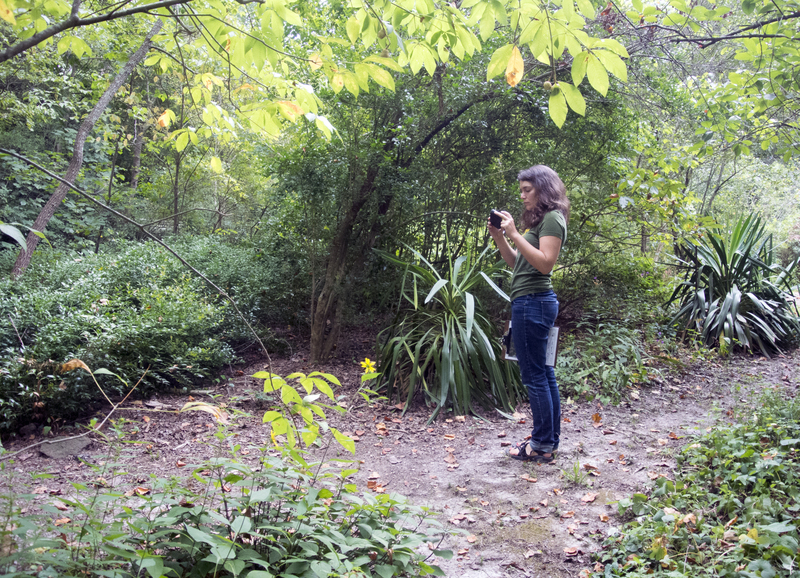 Laura Stroud, Conservation and Stewardship Associate, conducts the annual monitoring visit at Reid Garden in Wake County. When TLC protects lands, either by owning it or by holding a conservation easement, we make a promise to take care of that land in perpetuity. Stewardship of conservation easements includes regular site monitoring visits, responding to landowners’ questions, maintaining positive relationships with landowners and neighbors, building relationships with new landowners, ensuring easement violations are resolved, responding to landowners’ requests to exercise reserved rights, and amending easements when necessary. Stewardship of owned properties extends to include, when necessary, ecological restoration and more active management. Monitoring is a very important part of our work at TLC. When we monitor land, we walk through the property making sure everything is as it should be according to the management plan or conservation easement. This involves walking the boundaries to make sure nothing is encroaching on the property and making sure there are no violations of agreements. Permanently protecting land is often just the first step in ensuring its conservation values will be available for future generations to enjoy. 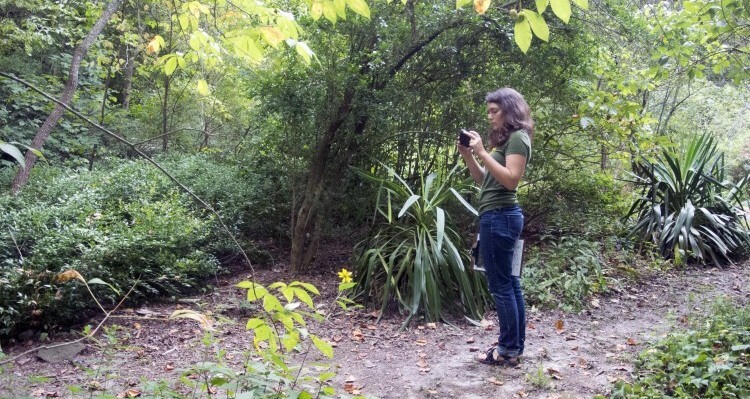 Many of the Triangle’s natural ecosystems have undergone significant degradation with negative impacts on biological diversity and the public benefits we derive from open spaces. Through ecological restoration and active management, TLC can improve local biodiversity, ecosystem productivity, and our community’s access to nature. Planting native flowers at Horton Grove Nature Preserve. TLC completes a management plan for each property it owns. A completed management plan contains all pertinent information about a property in one document including property history, in-depth ecological assessment, the property vision, management goals and objectives, and strategies for achieving these goals. It also includes information about stakeholder input, funding, and short term and long term work plans. Management Plans act as the primary document for future management of the property, including ecological restoration and active management activities. Ecological restoration is the process of assisting the recovery of an ecosystem that has been degraded, damaged, or destroyed. Ecological restoration is a well-established practice in biodiversity conservation and ecosystem management. TLC engages in a number of different restoration practices on our properties including planting native species, invasive species removal, prescribed burns, and forestry. 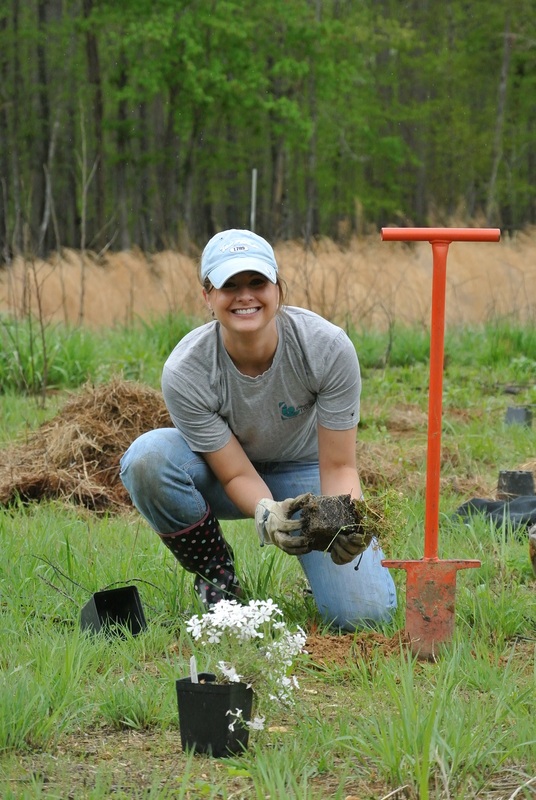 Learn how we are working to restore the ecosystems at Brumley Forest Nature Preserve in Orange County. Active management is how we keep our public nature preserves safe and inviting for visitors. Staff, volunteers, and professionals work year-round to ensure each preserve’s infrastructure – trails, kiosks, and parking lots – meets your needs while still protecting the preserve’s natural resources. You can do your part by volunteering to help us manage these important places. TLC develops management plans and conducts stewardship activities based on the latest and most relevant information available on ecology, recreation, environmental education, agriculture, and overall land management. To help provide independent, expert advice and guidance on these topics, TLC created a Stewardship Advisory Council. The Council reviews all new comprehensive management and resource management plans for TLC properties prior to implementation. Council members are volunteers from throughout the community representing a broad spectrum of disciplines relevant to the management, conservation, and stewardship of land including but not limited to ecology, sustainable agriculture, sustainable forestry, recreation, conservation planning, and water quality.